The best kinds of celebrations are the ones that get your crowd howlin’ the loudest! Bring all of the excitement found at every Howl at the Moon location exactly where you need it to be—there’s no better show in North Carolina, South Carolina, Virginia, Maryland or Tennessee than Howl2GO! Our dueling piano and live music show feature world-class performers playing your favorite songs all night long. Howl2GO can take any event, from birthday parties to corporate event blowouts, and get every guest to have a blast. There’s no better show than Howl2GO! Getting the most out of your next event is easy when you bring Howl2GO into the mix! Our show is perfect for everything from family parties to corporate events for the largest companies along the East Coast. 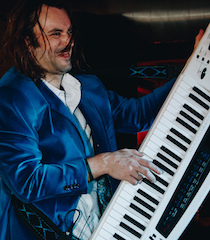 Every show we play is unique and features the perfect set for your crowd played on two pianos or you can even add in a drummer and guitarists for a truly thrilling experience. 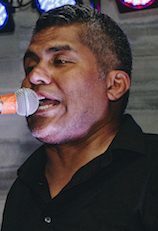 Our set can be customized down to the exact songs and genre that make your party groove—it’s all the versatility of a DJ with the unmistakable experience of a concert! The best part about Howl2GO is that we’re always close enough to rock your event! 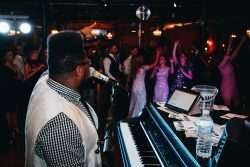 From Baltimore to Richmond to Raleigh and all around the country, Howl2GO features only musicians who have performed countless times at one of Howl at the Moon’s locations—you may even meet your favorites from our Charlotte, Baltimore or Louisville venues! 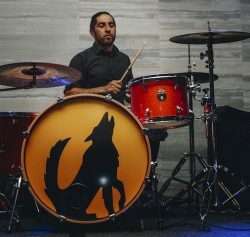 Regardless of where your party or event is located, you can count on having outstanding musicians present, a dynamic show all night and a professional feel from beginning to end when you book with Howl2GO. Looking for an awesome night out with Howl at the Moon, but you’re not near one of our nationwide locations? The Howl Experience brings our show to casinos, nightclubs, and bars across the country. Click below to see if we’re in your neighborhood this weekend!